Canadian auto sales surged to an all-time record high in 2016, but sales dropped in five of the last six months of the year. Will 2017 take on the character of 2016’s first-half, or adopt the trend set in the latter portion of 2016? Based on January, 2017 could be a very good year indeed. Sales in the first month of 2017 rose to an all-time January record of nearly 111,000 units, bursting past the five-year January average of 99,300 sales. Ford, thanks to surging F-Series sales, set the stage with a 4% year-over-year improvement. 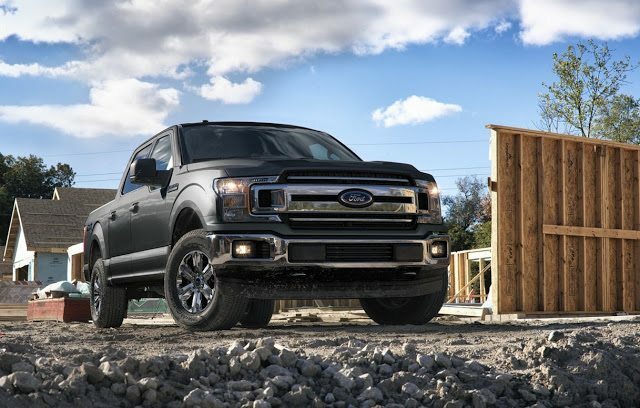 No other auto brand came within 5800 sales of catching Ford in January. But the overall Ford Motor Company was nevertheless outsold by Fiat Chrysler Automobiles, 2015’s leader and the second-best-selling manufacturer in 2016. FCA sales rose 2% to 18,443 units, 1218 more than Ford and Lincoln, despite declines at FCA’s top-selling Ram brand. Mercedes-Benz was Canada’s top-selling premium auto brand in 2016. Sales at Mercedes rose 29%, including van volume, to 3736 units. 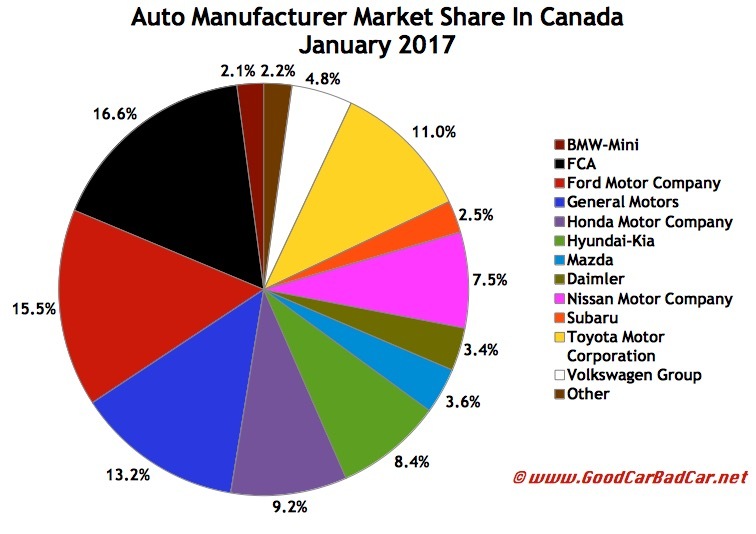 Maserati, Fiat, Jaguar, Porsche, and Buick were the fastest-growing auto brands in Canada in January 2017. But Mercedes-Benz’s rapid growth was tops among volume brands. (Mercedes-Benz, clearly a luxury outlet, produces mainstream levels of market share in Canada.) Audi, Mazda, and Dodge reported double-digit percentage growth. Volkswagen, Hyundai, and Ram were the most rapidly declining volume auto brands in Canada in January. Volkswagen slid 11% to only 3031 units. Granted, January may be nothing on which to base predictions for the rest of 2017. While year-over-year volume grew 2%, that gains equals only 2373 units. We won’t really be able to gauge the Canadian auto industry’s success until we see results in the spring. In April 2016, Canadian auto sales rose to an all-time record high. Volume was more than 80% stronger that month than in January, traditionally the lowest-volume month on the calendar. Don’t like to see automakers arranged alphabetically? Click column headers to sort automakers by January sales, year-over-year change, year-to-date totals, or any other order. Best seller lists for cars, trucks, and SUVs will be added in the next few hours. In the coming days, GCBC will also publish a complete list of year-to-date sales for every single vehicle line, a list which includes brand results. To find out what you can expect, you can see the 2016 year end version of that post here. You can always find historical monthly and yearly sales figures for any brand by clicking the brand name in the table below or by selecting a make (or model) at GCBC’s Sales Stats page. Mobile users can now thumb across the table for full-width access. ^ Excluding Sprinter/Metris: up 23.5% to 3240.